While we wanted to keep the necklace subtle, we still wanted to embellish it in some way. Of course, if you’d like, you can just wear it without any embellishment. However we chose to put 1.5mm studs in the center of a 3mm cord. Step 1: Cut cord to 1.5 ft (roughly 56 in.). Lie cord flat on table or solid surface. Step 2: Squeeze glue onto desired spot on cord. Immediately place stud on top of glue. Press down using the Krazy Glue metal tip (see above) to secure stud into place. Repeat every 2-3 inches or so until entire middle is covered. 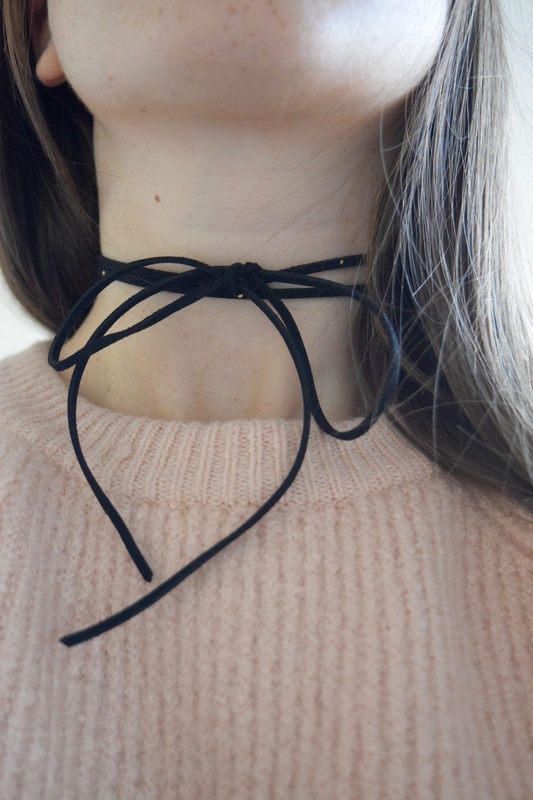 (I only wanted the one layer that wouldn’t include the bow to be embellished so I measured the middle half of the cord & covered that with studs.) Let dry completely. 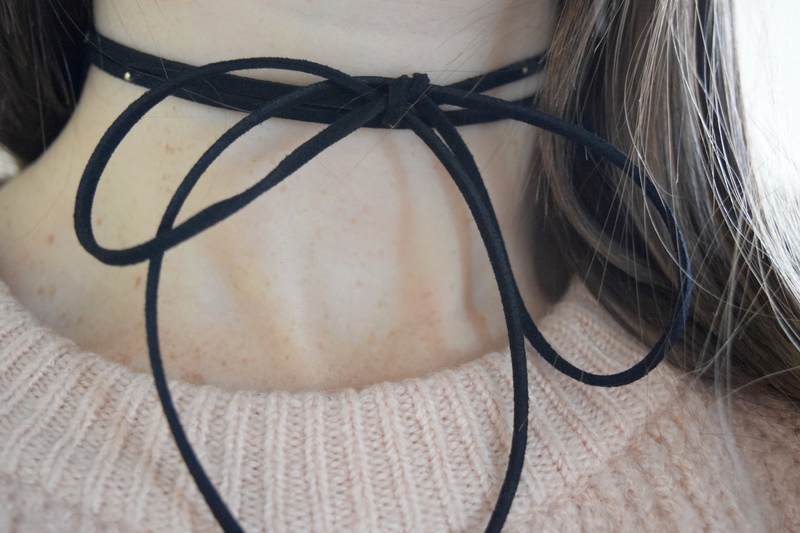 sidenote: I tied my necklace with the middle of the cord starting at the front middle of my neck, looped it around back, & tied the bow in front. Feel free to tie however you’d like. This looks great. 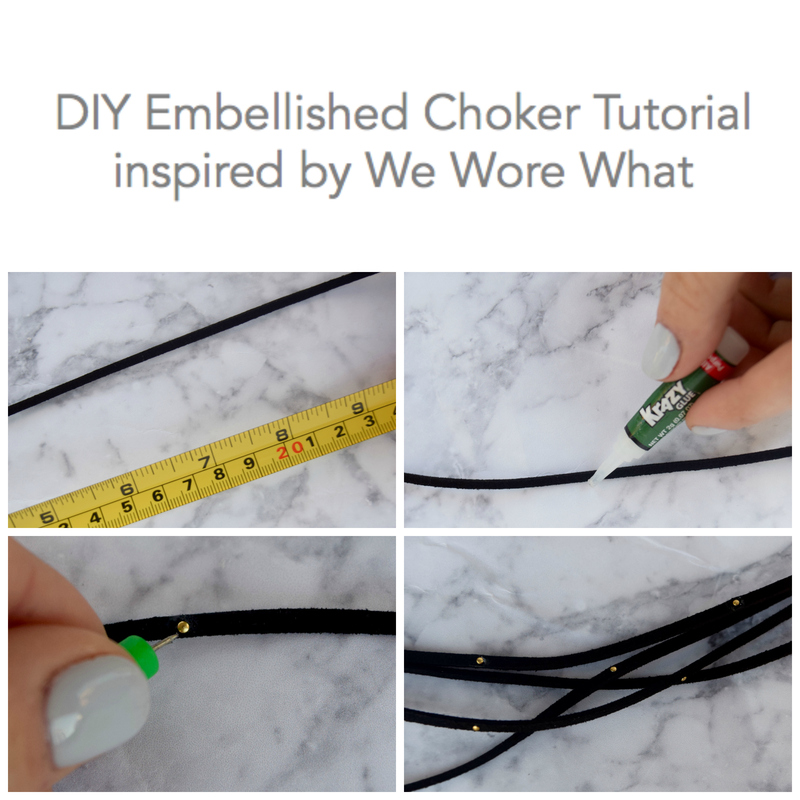 Cool DIY! Totally making this for my friends birthday. She’s going to love it! 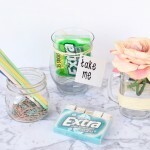 This is such a cool DIY idea! Thanks for the inspiration! 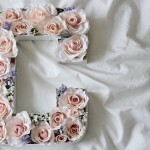 Such a fun DIY and the finished product is adorable! Love it, so trendy at the moment too!